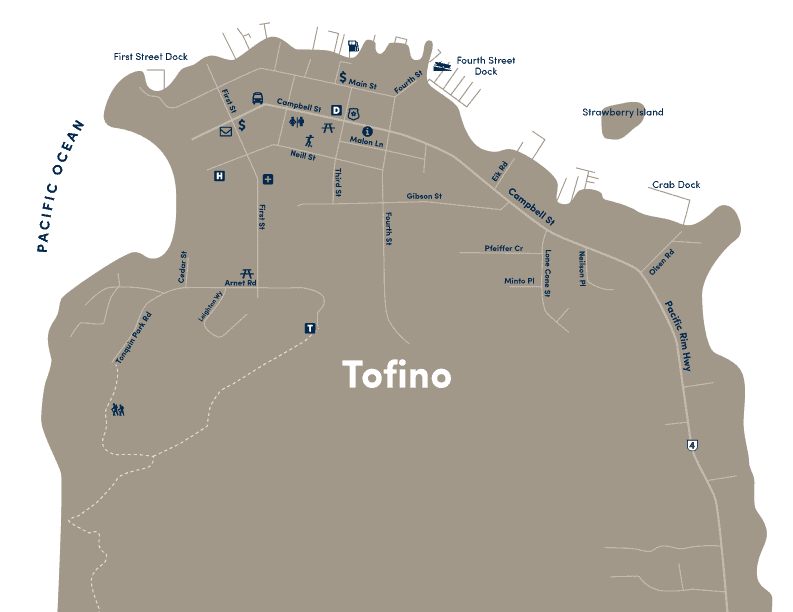 Hidden in an ancient landscape off the coast of British Columbia is the village of Tofino. Situated on the traditional territory of the Tla-o-qui-aht First Nation, we’re surrounded by the vast, breathtaking expanse of the UNESCO Clayoquot Sound Biosphere Region—a region cherished for its profound biodiversity and environmental culture. Here, we cherish the quiet inlets, the old growth rainforest and the rolling waves that embody the vibrancy of this place. We celebrate our acclaimed food scene and our rich arts and culture. We tread softly and have respect for everything and everyone who call Tofino home. Because here, everything is connected. Come find out what it’s like to be here. If you play hard, you deserve to rest well. 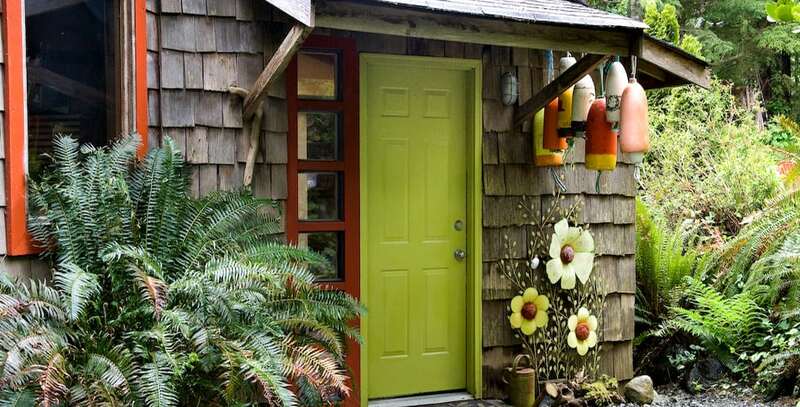 Visit Tofino, and find the right place for you: cozy cabins, bed and breakfasts, vacation homes, hostels, campgrounds, and renowned resorts. We can help set you up with the accommodation to make your trip an unforgettable one. Whatever your palate’s after, there’s a Tofino taste sure to hit the spot. Book a table at one of our award-winning restaurants. Sit down to an ocean view on a patio. 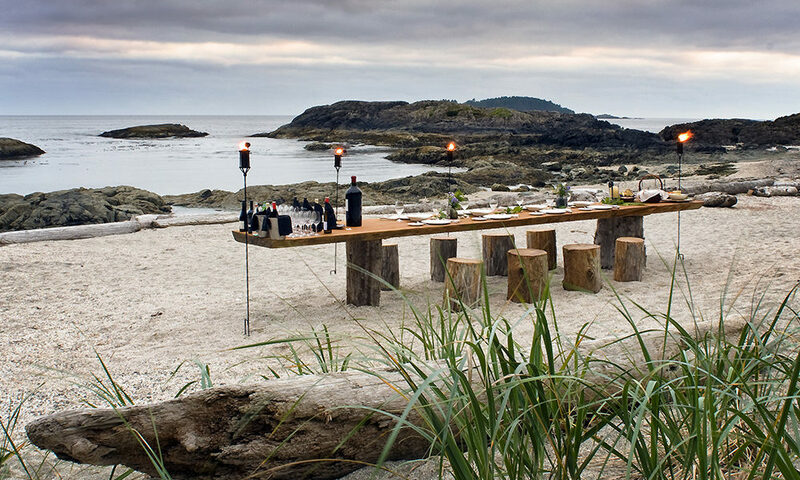 Or head out for a picnic on the beach. When it comes to flavours, there’s a bit of everything here, so come find yours. Get the lay of the land. 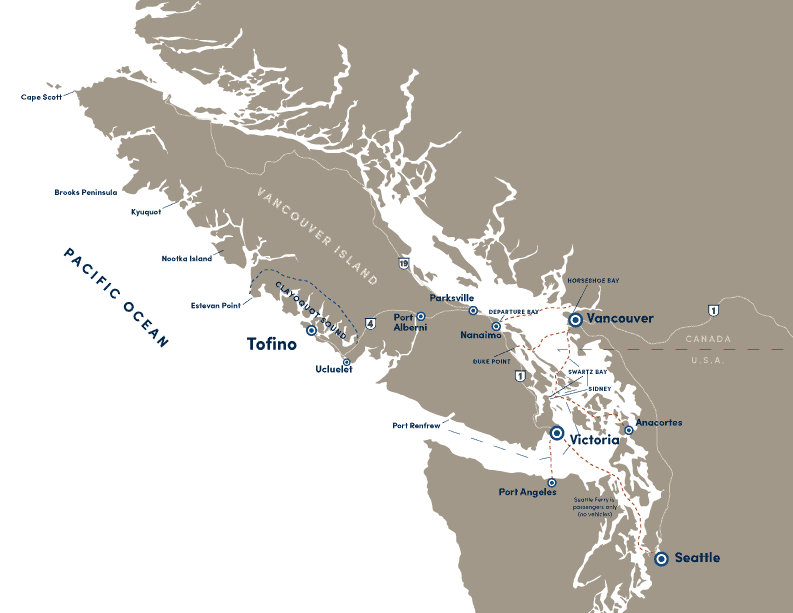 This map situates Tofino in relation to Vancouver and other arrival points in the Pacific Northwest. 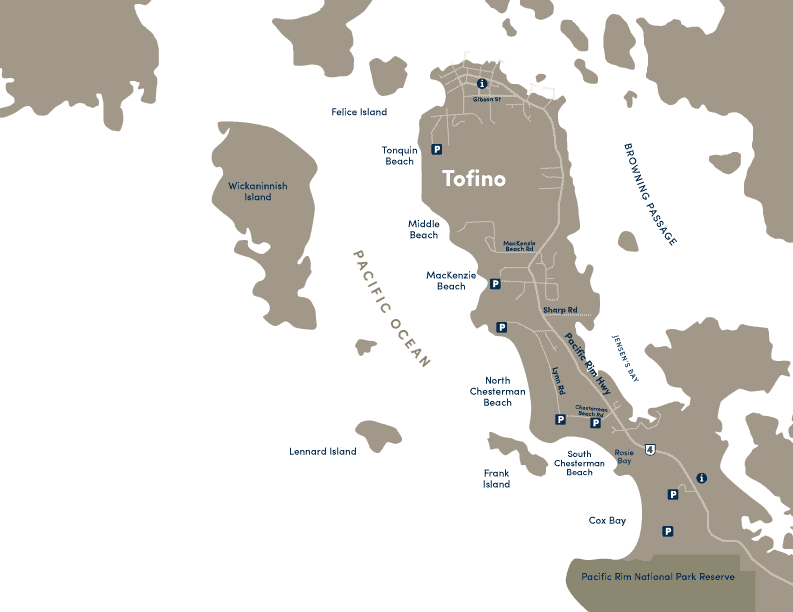 Tofino is situated on the Esowista Peninsula. 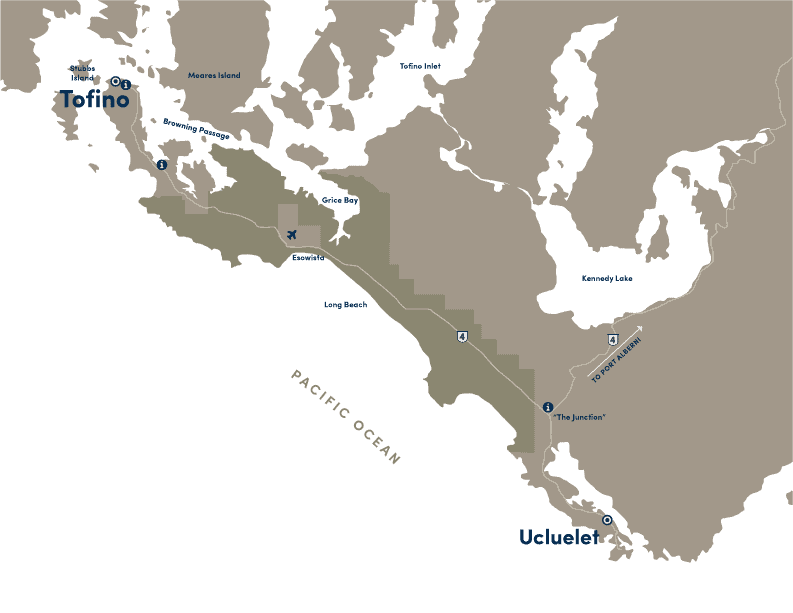 An overview of the beaches in and around Tofino. Explore Tofino's village core, virtually.